in Findhorn Foundation Cluny Hill (Moray, Scotland). Among the wide range of workshops available in the healing marketplace, including all the events I offer, this is the longest and most comprehensive all-in-one astroshamanic course. The training consists of two workshops, 1-17 August 2012, A Journey into the Inner Universe and 18-25 August 2012, The Voyage through the Zodiac, which can also be extended to a One-Month Programme, including a week of integration and the Astroshamanic Practitoner Intensive from 1 to 7 September 2012. The next edition of the training will be from 2 to 9 March 2013. Since the first edition in 2003, this training has received abundant praises from those who have attended it. The course is always unique and in close alignment with the present, never repeating itself twice. Hence some participants often take it every year. If you resonate with the themes of astroshamanism and holistic awareness, I can assure you that this training will provide a precious opportunity to explore them experientially. This edition of the training is particularly special since for the first time it takes place in summer with a new format allowing to work more closely with each participant, exploring and promoting their unique potentials, and offering individual consultations. During the training I will be assisted by Astrid Gude. I believe that this training can offer support and clarity regarding your potential, providing opportunities to ground it in everyday life, both for your benefit and as part of your service to the environment. The training is also an ideal opportunity to get to the root of critical issues, healing blocks and energy loops, so that you can step with power into a brighter and more fulfilling experience of life. The year 2012 has been described by many light-workers and spiritual leaders as a crucial time for setting in motion major shifts in human consciousness. In particular, within the astroshamanic network we regard this time as an opportunity to increase the capacity to master intentions and taking decisive steps for creating the new reality we wish for ourselves and the world. This implies stepping into the richness of our experience on Earth, letting go of decaying paradigms based on separation and gaining a solid awareness of the connection with the web of life. I would be most delighted and motivated to work more directly with you during this training or other astroshamanic training modules this year, including our advanced workshops in Italy. 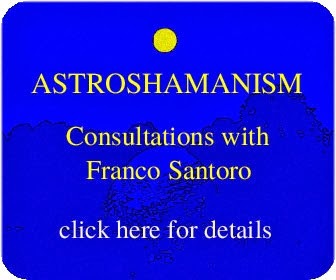 Please feel free to contact me at info@astroshamanism.org if you have any question or wish to receive more details on any aspect of astroshamanic work. We can also meet or arrange a telephone (Skype) appointment, if you wish to explore which workshop or course is the right thing for you. Please find below details on the training. with Franco Santoro, assisted by Astrid Gude. 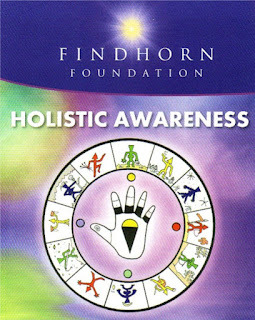 Participants who have completed the two-week training can also be admitted to the Astroshamanic Practitioner Intensive from 1 to 7 September 2012 (click here) and have a one-month astroshamanic training experience at Findhorn, including one week of integration from 25 to 31 August 2012 in the Findhorn Community. The total cost for four weeks, including accommodation and board is £ 1795. For further information on the month programme click here. Since the first edition of the training in 2003 more than 120 participants have benefited from this course (see a selection of comments below). This workshop brought me back to my true passion and feeling of being fully alive. A very well crafted programme, beautifully balanced, finely taught out and excellent value for money. It has been wonderful and heart-opening. Doors for me have opened about being in relationship in a new way and also my views on spirit guides have deepened in a very valuable way, and my inner sense of why I am on this planet and what I am to do here has become clearer. Franco is an excellent communicator and facilitator. 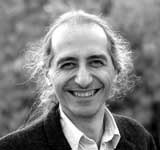 He tailors the programme according to the nature of the participants, blending group dynamics with astroshamanic processes. I would like to affirm that this has been a mile-stone on my life’s journey. Thank you. I found most valuable to learn the techniques and hear the explanations first hand from a practitioner who was open, serious and light-hearted, knowledgeable, and very capable of creating and supporting the environment and energies we were working with. The programme has been life changing. It’s really that simple. And for that I’d like to extend an enormous hug of gratitude to Franco for pioneering this work, for living it and sharing it. I am very happy to have done this programme. It has enabled me to make important connections. It has put me back in touch with my imagination. It has been healing. It has been brilliantly focalised. 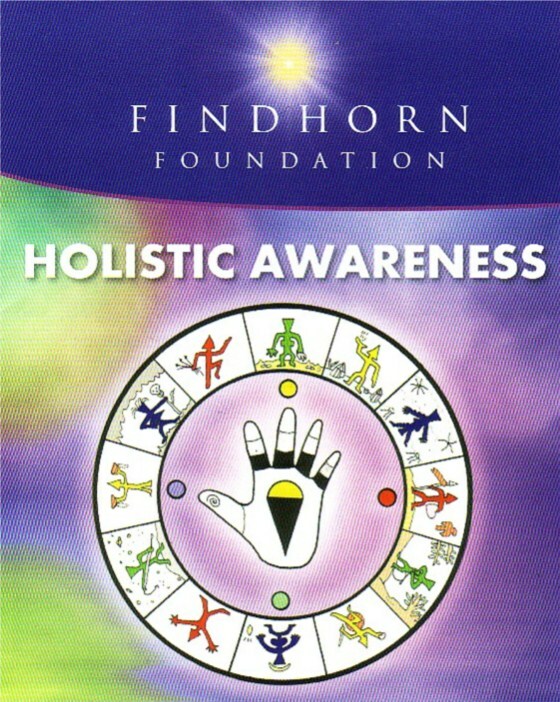 I thank F. and the Findhorn Foundation. I thank my guidance. Astrid Gude, resident member of the education faculty of the Findhorn Foundation, focaliser of the Living in Community Guest programme since 2004, workshop leader, shamanic practioner. Astrid completed two levels of the Operative Training in Astroshamanism and has supported Franco in numerous workshops since 2004.